TD Shakespeare for Kids Library Club- Winter session registration is OPEN! Is your Shakespeare Kid looking for a way to escape the cold this winter? 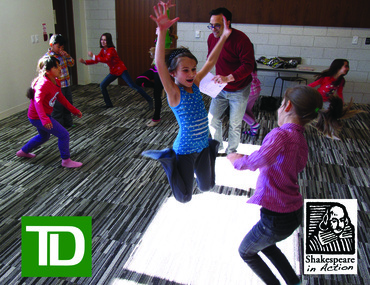 Register them for the TD Shakespeare for Kids Library Club at participating Toronto Public Library locations! A free readers’ theatre program for kids ages 7-12! Magic, witches, ghosts, silly mix-ups, and swordplay in some of the greatest stories ever told! Explore plays such as The Comedy of Errors, Macbeth, A Midsummer Night’s Dream, Romeo & Juliet, The Tempest, and Twelfth Night. Play drama games and meet other Shakespeare fans! Led by professional actors and educators. Up to 24 participants per session. Register at your chosen Toronto Public Library branch from the list below. This program is free for participants, thanks to the continued generous support of TD Bank Financial Group. For more information on the TD Shakespeare for Kids Library Club, please contact us! Shakespeare in Action- 2015 at a glance! Happy New Year, everyone! We hope you all had a wonderful and restful holiday season. The Shakespeare in Action team is officially back to work today, and we cannot wait to get started on all of the exciting projects we have lined up for the first half of 2015! Here is a sneak peak at what’s coming up! Read aloud and play drama games and meet other Shakespeare fans! Visit the TD Shakespeare for Kids Library Club page for locations and details! Food, drink, and live music following the show! A live and silent auction of fabulous items and packages! The chance to give youth in priority neighborhoods across Toronto access to the arts through our subsidized ticket program! Our most recent production of Hamlet returns to the mainstage this Spring! 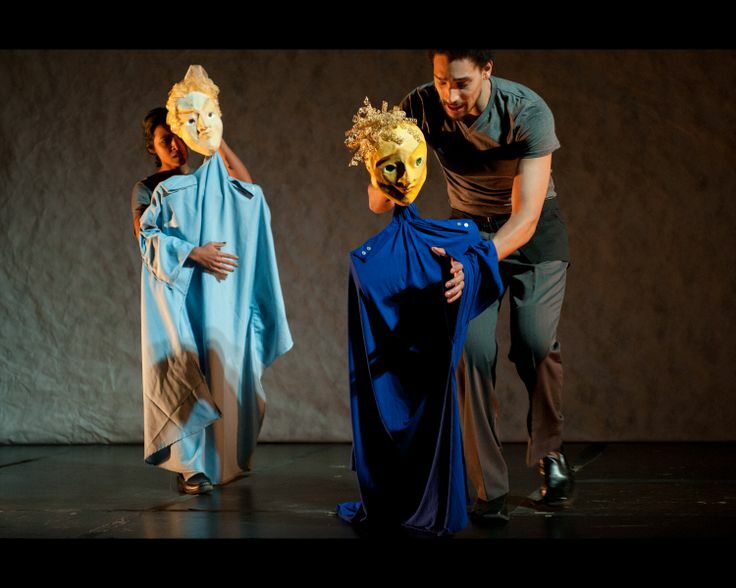 This dreamlike production incorporates mask puppets and shadow play to create a visually rich and engaging show while staying true to Shakespeare’s text. Teen audiences will fall in love with our dark and brooding Hamlet as he perseveres to find the truth. Recommended for ages 12 and up. Visit our Hamlet page for prices and booking info! Shakespeare Meets Hip Hop is a vibrant, interactive presentation that demonstrates how modern hip-hop shares many similarities with the themes, language and rhythm used by Shakespeare. Both are full of poetry, word play and lyricism and both deal with what it is to be human. 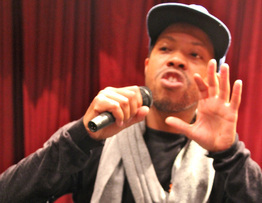 Shakespeare Meets Hip Hop brings alive the parallels between the world of the plays and their own contemporary experience. It’s the perfect complement to your in-class teaching of a specific play, in the beginning, in the middle or at the end. Visit our Shakespeare Meets Hip Hop page for booking info! If you have any questions regarding our upcoming shows and events, please feel free to send us an e-mail, or call us at (416) 703-4881! TD Shakespeare for Kids Library Club- One Week to Go! The SIA office is busy making final preparations for the first session of the TD Shakespeare for Kids Library Club, starting November 1!Shakespeare Kids from ages 7-12 across Toronto are invited to join this free readers’ theatre program to explore plays such as The Comedy of Errors, Macbeth, A Midsummer Night’s Dream, Romeo & Juliet, The Tempest, and Twelfth Night. Led by professional actors and educators, Shakespeare Kids will read aloud, play drama games and meet other Shakespeare fans! Register for the fall session at one of our participating Toronto Public Library locations! This program is free for participants, thanks to the generous support of TD Bank Financial Group. TD Shakespeare for Kids Library Club- Fall Registration is OPEN! TD Shakespeare for Kids Library Club- Spring Session Taking Registrations! Do your kids need a little drama in their life? Well, Shakespeare will turn 450 (!) this April – what better way to celebrate than by joining the TD Shakespeare for Kids Library Club! 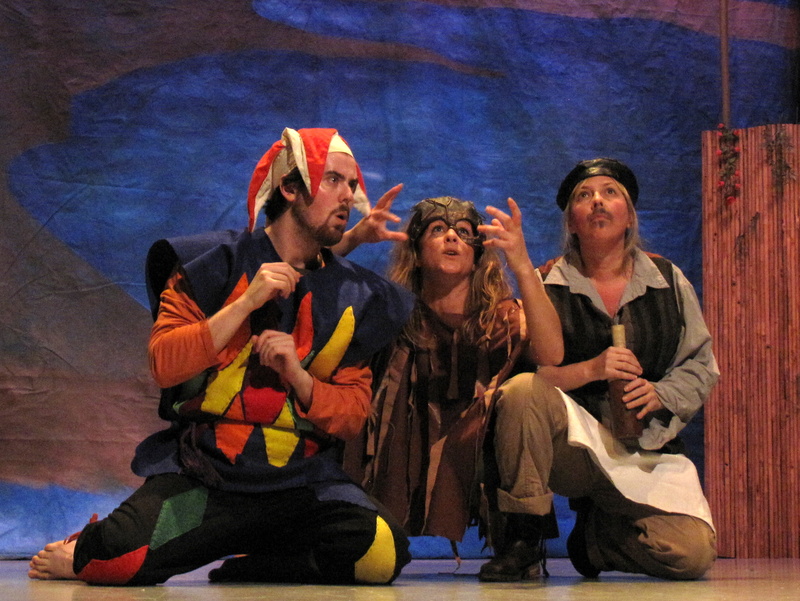 This is a FREE readers’ theatre program for children ages 7-12. Witches, ghosts, potions, magic, and humour! Led by professional actors and educators, kids explore plays like Romeo & Juliet, Macbeth, Midsummer Night’s Dream, Tempest, Comedy of Errors, and Henry IVth. They read aloud, play drama games, get a head start on high school, and make friends with other Shakespeare fans. 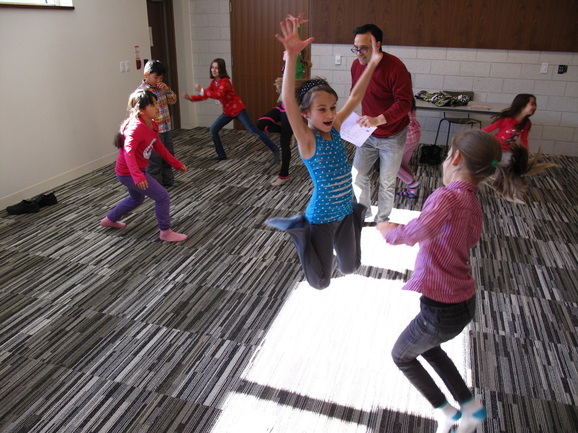 The program runs for 6 Saturdays at 10 Toronto Public Library branches. The Spring session starts Saturday, April 5th. Register early at participating branches. Please see below! Photo Friday- One day away from The Shakespeare for Kids Library Program! Hello dearest readers. Happy Friday! I know we are all looking forward to a quiet and relaxing weekend, but I know some folks who are ready to have some fun! Our TD Shakespeare for Kids Library Club is back for another session starting on November 2, at Toronto Public Library locations across the city! The sessions run from 10am-12pm and 2pm-4pm. We had a training session on Monday with our library instructors and some of our interns! Our Education Coordinator led the group through a series of workshops, so they will be able to lead their own groups through Shakespeare’s works! For more information, please visit our website, or you can register at your local branch!